I have always been an artist. I would flip over my school papers and draw flowers instead of doing the assigned work. My favorite thing was to hang up my crayon artworks in my art gallery (the big closet at my gramma's house). Coloring is cathartic. It feels like I am growing something out of nothing. Stories that are illustrated using color as a character, or that are influenced by color, catch my eye for sure. To help improve my craft of storytelling, I never leave the library without an arm-load of picture books (often more than an arm-load). I love borrowing TONS of them because I LOVE reading them. The stigma of picture books being only for kids needs to evaporate. I would have read more if I felt it was acceptable to read a picture book when a chapter book was too difficult. A story is a story, no matter how small. 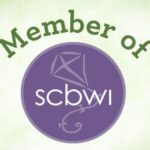 I am a member of SCBWI, I participate in local critique groups, and facilitate a couple writing workshops. 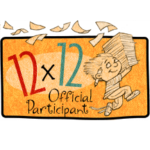 I also participate in Julie Hedlund's 12x12 Picture Book Challenge. This is my second year "elfing" in the 12x12 forum in the Art Notation Station. A section that addresses art note questions. 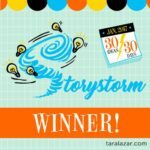 I enjoyed taking the Storystorm challenge occasionally as well. Catch up with me on facebook. Contact me by email if you like.